With over 3 million unique visitors enjoying the gaming portals every month, WitchHut is one of the largest online games publishers worldwide. The gaming network was founded in 2005 and growing ever since. For more information about advertising on any of the websites please contact us. 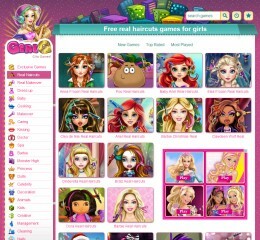 One of the most popular destinations for girls from allover the world looking for the best games to play. A minimalistic portal for girls, built with an urban and charming atmosphere. The place for all the exclusive games created by WitchHut. A minimalist modern website, with a very easy to use and friendly interface. 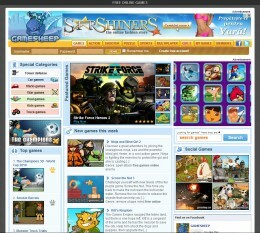 It hosts only the top flash games available on the web. Since it's launch in January 2013, the portals received a great response from their audience. 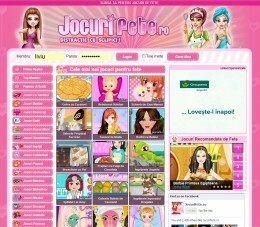 The most popular girls games website in Romania. Large gaming portal that draws a mixed male/female audience worldwide. 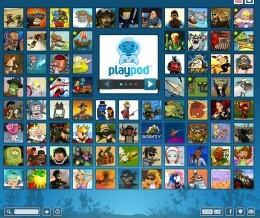 The portal aggregates and integrates single and multiplayer games from the top developers. 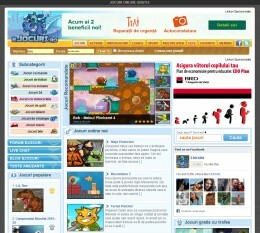 Largest gaming portal in Romania and one of the oldest teens and young adults community.